Halter neck tankini set from Marina West. 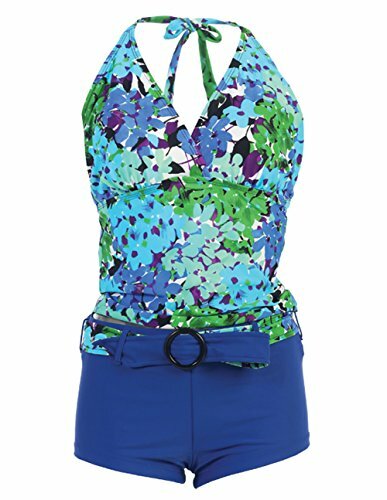 Beautiful pattern halter neck tankini swimwear set with contrasting boy leg shorts. Top features light removable padding and ties around the neck. Decorative belt completes the full coverage shorts. Both pieces come fully lined and ready for the beach or lounging around the pool. Don’t miss out!! !